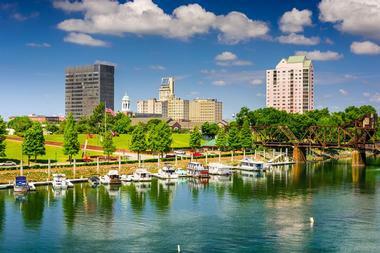 Augusta, GA, is known for its quintessential Southern charm, elegant antebellum mansions and numerous gardens. 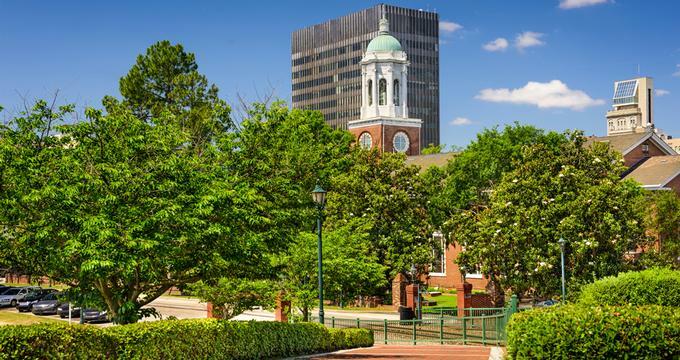 Visiting Augusta means taking a relaxing stroll through elegant tree-lined avenues, visiting great museums and galleries, and enjoying famous Southern food. The city is also known as a center of biotechnology, medicine and cyber security. Here are the best things to do in Augusta, Georgia. The cool breeze from the mighty Savannah River makes Riverwalk one of the favorite places for Augusta residents and tourists to visit on a hot day, sit on a bench, and watch the river, have a picnic, or a stroll under the old shady trees. The Riverwalk stretches between 6th & 10th Streets in Downtown Augusta, and it consists of two levels accessible from different downtown locations. The Riverwalk includes a number of popular venues such as at the 8th Street Bulkhead that hosts the weekly Saturday Market on the river and one of Augusta’s most popular summer events – the Candlelight Jazz Series. The brick-paved 10th Street Plaza leads through the levee into the Heroes Overlook. The 9th Street Plaza leads to the Jessye Norman Amphitheater, which overlooks a multi-use covered stage that bends to the Savannah River. The Japanese Gardens make up a charming little park on the RiverWalk’s lower level, popular for a quiet destination for wedding photos. 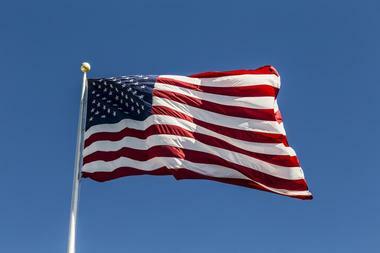 There is always something going on at the Riverwalk, from 4th of July fireworks to the St. Patrick’s Day festivities and much more. 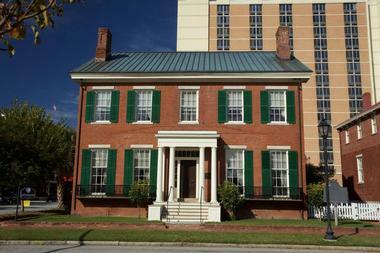 The Augusta Museum of History is the oldest historical museum in Augusta. Founded in 1937, it is dedicated to the preservation and interpretation of the city and regional history. The museum owns the largest and most important historical collection in the Central Savannah River Area and is an invaluable historical resource and research center for historians, students, media, and others. 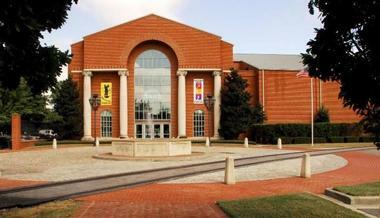 The museum’s most important permanent exhibition is Augusta's Story, a 12,000-year long journey through the area’s past. Other notable permanent exhibitions are on the history of healthcare in Augusta, a permanent exhibition on the city’s history of the banking and railroad industry, and a Transportation Corridor with a 1914 locomotive, a 1920's trolley car, and a fully reconstructed 1930's gas station. In 2003, The Knox Foundation Center for the Preservation and Study of the CSRA History and the Educational Resource Center became a part of the museum. This 10,000 square-foot structure hosts a research library, archives, collections storage, and a lab for artifact conservation. In 2004, the 1797 Ezekiel Harris House was also added. Augusta Canal is the only industrial canal in the American South in continuous use since it was built in 1845. 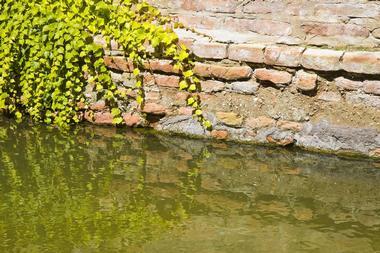 A source of water, power, and transportation, the canal was largely responsible for the city’s industrial boom. After it was widened and deepened in the 1870s, a large number of mills that relied on its power, especially textile mills, were built on the canal, boosting the city’s industrial boom. In the 1890s, the city installed the new, impressive water pumping station at mid-canal to replace the original one, and the pump is still supplying Augusta residents with water today. Augusta Canal has been declared a National Heritage Area, and one of the most imposing structures, the enormous Enterprise Mill, has been converted into a residential and office complex. The Augusta Canal National Heritage Discovery Center is also housed there. The Morris Museum of Art is located on the Augusta’s iconic Riverwalk, and it is the first museum of its kind – dedicated to the artists and art of the American South. Founded by William S. Morris III, the museum opened its doors to the public in 1992. The permanent collection holds almost 5,000 paintings, photographs, works on paper, and sculptures ranging from the late 18th century to today. In addition to showing permanent collections in a number of galleries, the museum also hosts up to ten temporary special exhibits every year. The Center for the Study of Southern Art, a research library and reference center on artists working in the South, is also part of the museum. 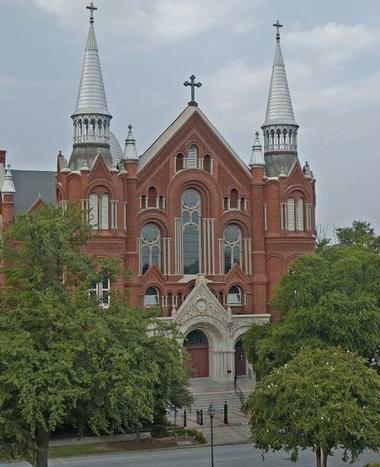 The Sacred Heart Cultural Center is a former Catholic Church built in 1897 and located in Augusta’s downtown. Registered on the National Register of Historic Places, the striking building features twin spires, fifteen styles of brickwork, graceful arches, ninety-four magnificent stained glass windows, a barreled vaulted ceiling, and finely carved marble altars. The last mass in Sacred Heart was held in 1971, and, after extensive renovation, it was reopened in 1987 as a cultural center. The building serves as a wonderful venue for cultural and social events – art exhibitions, theatrical production, a popular Garden Festival, and choral concerts. Its facilities can be rented for all kinds of private and public events, and it is used continually throughout the year for celebrations and civic functions. The Sacred Heart School building and the old Rectory building house offices of several local arts groups and non-profit organizations such as the Augusta Ballet, the Greater Augusta Arts Council, Choral Society, Children’s Chorale, and the Symphony Orchestra Augusta. 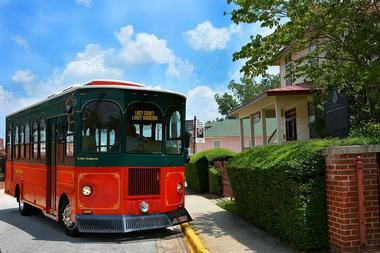 Beautifully preserved, the Augusta Downtown Historic District takes you back in time from 1801-1967. Here you will see the historic commercial areas of Broad Street, or the industrial properties that line the Savannah riverbanks. Tour Greene Street, a tree-lined boulevard with a historic park-like center. In this area, you will see government buildings, churches, and large houses of the 19th century rich. See examples of several architectural styles side by side including Federal, Greek Revival, Romasque Revival, Queen Anne, and Beaux Arts. There are few remaining places that so beautifully and clearly document the change in styles over the centuries. There are several homes, churches, and buildings that are open to the public. Located just a few minutes from downtown Augusta, there is a 1100-acre nature park with 14 miles of hiking and biking trails, boardwalks, observation points, and research stations. 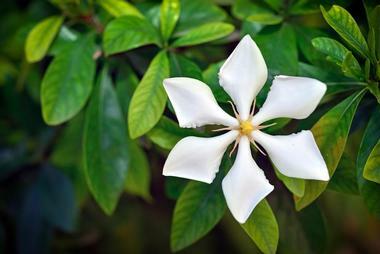 Phinizy Swamp Nature Park is a wonderful space to enjoy the beauty of diverse natural habitats of the area and learn about the challenges modern life presents to maintaining the balance of nature. The park is a laboratory for the research conducted by the Phinizy Center for Water Sciences and a home to numerous wild species such as red-shouldered hawk, blue heron, otter, bobcat, alligator, and much more. Take a stroll through this natural area following a number of trails and boardwalks such as Beaver Dam Trail, Rain Garden Deck & Boardwalk, Floodplain Boardwalk, and the Observation Deck, among others. Listen to the birds, look for alligators, take some magnificent photos, or take one of the free guided tours to learn more about this wonderful green oasis. Originally built as a vaudeville and photoplay theatre, the Imperial Theatre has been an Augusta icon since the early 1800's. 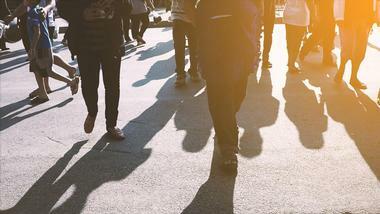 These days, you are more likely to see popular musical theatre shows such as A Chorus Line or Mary Poppins and musical performances like concerts and tribute performances. By taking an in-depth backstage tour, you will learn all about the architecture and history of the theatre as you tour the lobby, stage, and dressing rooms. With hundreds of performances each year, there is always something fun going on. Founded in 1937, the Gertrude Herbert Institute of Art is not only a visual arts school, but also a public art gallery. With five galleries and constantly changing exhibits, the institute guarantees no two visits are ever the same. The Main Gallery features special exhibits that rotate throughout the year, showcasing both international and national artists. The Creel-Harrison Community Gallery exhibits local, regional artists, and the North and South Galleries are used for student exhibitions from both the Gertrude Herbert Institute and local high schools. The first floor gallery is used for student exhibitions and art completion winners. There are many up-and-coming artists, and you may just discover the next Van Gogh. Meadow Garden was once the home to George Walton, one of three men who signed the Declaration of Independence on behalf of Georgia. Now, his final home is a National Historic Landmark where thousands of visitors come each year to visit the museum house owned and operated by the local chapter of the Daughters of the American Revolution. Built in 1791, the house has undergone significant reconstruction, transforming from a typical 2 ½ story Sands Hill Cottage to include a three-bay extension allowing for further recreation tableaux and artifacts. Step back in time to the late 1700’s and see how George Walton helped to shape American History. The Lucy Craft Laney Museum of Black History celebrates the life and legacy of Lucy Craft Laney through art, history, and the preservation of her home. The museum offers tours that give visitors the chance to see and hear about the black history of Augusta and the role Ms Laney played in the education of Augusta's black children. Exhibits are constantly updated, with permanent exhibits including Woman and Civil Rights, The Lucy Craft Laney Collection, and the Pilgrim Health and Life Collection. The museum puts on a host of annual events, galas, and special exhibits. Woodrow Wilson, the 28th president of the United States, grew up in Augusta, Georgia. His home, the Woodrow Wilson Boyhood home, was built in 1859 and is now a National Historic Landmark that serves as a house museum depicting life during the Civil War and Reconstruction eras. 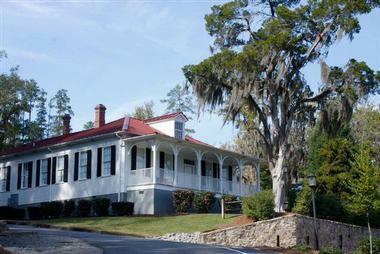 Located on the banks of the Savannah River is the Savannah Rapids Visitor Center. Set against the backdrop of the river, the visitor’s center was once the home of the Lockkeeper. Here, knowledgeable locals will help you plan your accommodation, activities, and dining throughout Georgia State. Walk along the river and visit the lock itself. Alongside the visitor’s center, the cottage also serves as a museum house where recreations have been set up in the Lockkeeper’s bedroom. The museum takes visitors on a journey through Columbia Country history via photographs and paintings. Make sure you stop here on your way to Augusta to get inside tips from Augusta locals. 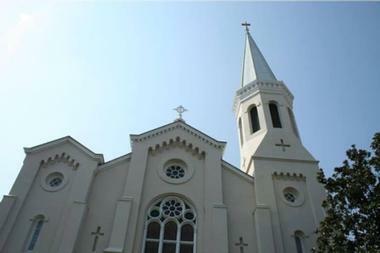 The Most Holy Trinity Catholic Church has provided the residents of Georgia with a place of worship for over 200 years. Following the plan of a basilica with the sanctuary raised above the church floor, the church retains most of the original marble and wood detailing. The Most Holy Trinity is home to several magnificent art works, including a marble sculpture of the Last Supper dating from the late 1800’s. Stunning stained glass windows decorate the walls of the sanctuary alongside a stunning depiction of the Crucifixion on the sanctuary roof. With daily services, the church is open to anyone who wishes to worship. The top shopping destination in Augusta, the Augusta Mall is one of the largest malls in Georgia. 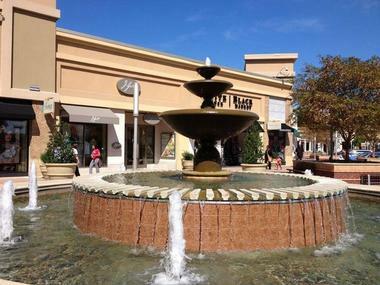 Trendy and stylish with simple architecture, light filled corridors, and a central fountain, it is the perfect place to spend a day relaxing, shopping, and dining. 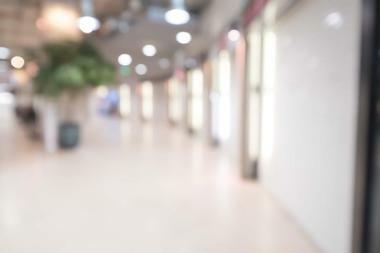 The mall features many high-end stores including Apple, Coach, Pandora, and Michael Kors, while clothing shops include White House/Black Market and several trendy specialty stores such as Teavana. Pamper yourself with a trip to one of the many luxury beauty shops and spas followed by a treat at one of the twenty-three dining options. Home to the Augusta Green-Jackets, Lake Olmstead Stadium is one of Augusta’s leading entertainment centers. The stadium has a wide range of seating options for over 4,822 people, including the Budweiser Party Pavilion, which offers picnic style seating for over 500 patrons. Built primarily as a baseball stadium, Lake Olmstead Stadium has undergone extensive renovations that now allow it to host concerts – most famously Bob Dylan – high school baseball games, and a variety of special events. A newly constructed Kid’s Zone and Cintas Cool Zones offer family friendly fun before or after a game, concert, or event. If you have packed your set of golf clubs and brought them along, then there is only one place you need to go: Forest Hills Golf Club. 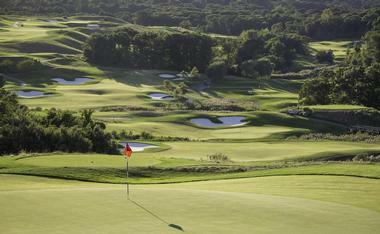 Established in 1926, the green has become a favorite with both locals and visitors and is open to the public. Set amongst beautiful, well established trees and rolling hills, it provides the perfect atmosphere to relax and play a round of golf with your friends. The golf course also features a driving range and practice facility, a bar and grill, and banquet facilities, making Forest Hills Golf Club a destination all by itself. 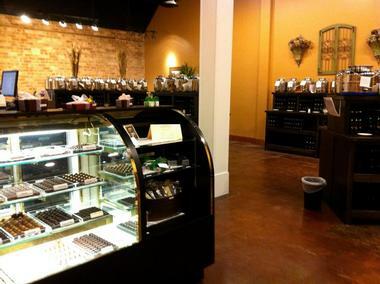 After a busy day touring, treat yourself to a trip to La Bonbonniere. Founded and owned by Bébette VandenBrugge-Smith, who graduated from the Chocolate Academy in Wieze, Belgium, this charming establishment allows you to sample exquisite handmade chocolates. With classics such as Amaretto Almond, Caramel Crunch, and Crème de Mint all available, there is plenty to choose from. For those who are more adventurous, try new flavor combinations such as Earl Grey, Tango, or Kiwi Strawberry. La Bonbonniere offers handmade chocolate gifts including personalized chocolates and boxed chocolates, making their treats the perfect souvenir gift for your family and friends. 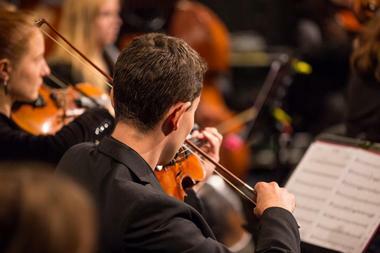 Home to some of the best musicians in Georgia, the Symphony Orchestra Augusta continues to share the joy of great musical theatre with their audience. The symphony offers services in two states and seventeen counties throughout Georgia and South Carolina, performing classics such as Tchaikovsky’s Fourth, Mozart’s Jupiter and Beethoven’s Fifth! Pops! at the Bell Series pays homage to recent iconic artists with shows like A Frank Sinatra Tribute and A Salute to Elvis. 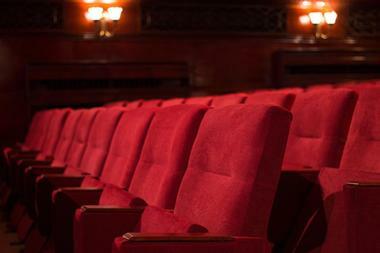 With such varied musical performances, there is something to suit everyone's tastes. Frog Hollow Tavern is hip, modern, spacious, and comfortable – it is a place where people dress up to visit and have a great evening with some exquisite food and a great selection of affordable wines. The large wooden bar dominates the room, and if you sit close enough, you can watch bartender playing with colorful bottles while making your cocktail. The menu is seasonal, and all ingredients are obtained from the restaurant’s regular suppliers – local farmers, bakers, butchers, and sausage makers – and their names are proudly provided. The fare is New American, which means Chef Sean A. Wight gets to play with our old time favorites and come up with his own fabulous version. His small plates are visionary, but if you feel the need for a substantial meal, go for the Tavern Style "Fisherman's Stew" with chorizo, clams, shrimp, monkfish, house-smoked ham hock, and stewed tomato broth. It is served with garlic baguette, and it is to die for. Choose a nice bottle of wine with that, and check the dessert special – it is always something in season, and it will surely delight you. Exposed beams and brick walls of the 1870 cotton warehouse provide an interesting background to the lively, pleasant eatery that makes all your favorite Southern dishes. You will get jambalaya as delicious as the one your grandma used to make, memorable fried green tomatoes, and shrimp and grits that will bring tears to your eyes. 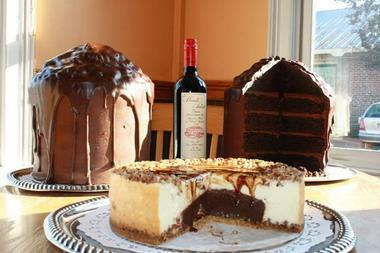 But that is now why people come to this popular place: the Boll Weevil is one restaurant where having a cake for lunch is totally justified, and they make absolutely sinful desserts. They have eight kinds of cheesecake and six kinds of pies, and their Canary Lemon cake is like nothing else you have ever tasted. 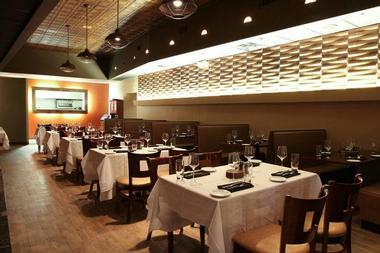 They also have some great wines, so pick up a glass and enjoy your decadent lunch. You can stop by another time to try their excellent soups and sandwiches. 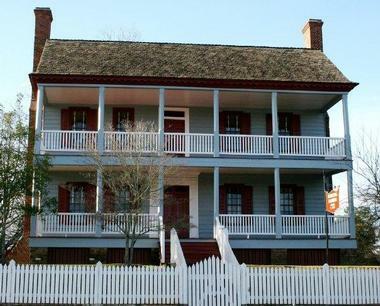 Step back in time to the late 1700s with a visit to the Ezekiel Harris House. 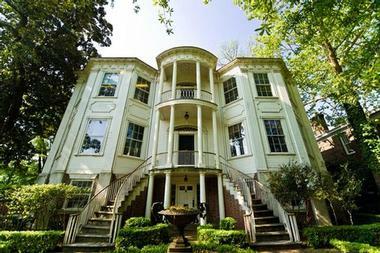 Restored in 1964, the house is listed on the National Register of Historic Places and is a rare example of 1700s Georgian architecture. It is the architecture that makes the house truly special, showcasing the change from Georgian and Federal architecture made popular after the Revolutionary War. Beautiful engravings are carved on the mantles and doorframes, and they remain in their original condition. Surrey Center shopping mall has a range of good eateries, but the French Market Grille has been one of the most popular for the last 26 years. Its cozy, casual, homey décor makes everyone feel welcome, making the French Market Grille a favorite for bringing the family for a Sunday lunch or the entire extended family for an anniversary or birthday celebration. The fare is classic Cajun, Louisiana-style, with all your favorites. They have a large choice of excellent po’boy sandwiches with anything from ham and cheese to shrimp and catfish. A Crawfish Pie is old-fashioned and delicious, with sautéed vegetables, roux, sherry, cream, and spices, all fried in a fluffy pastry. 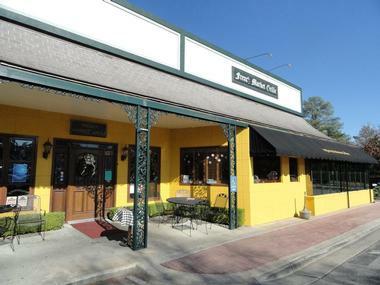 Abel Brown is a popular Surrey Center Southern cuisine restaurant and oyster bar that caters to Georgia’s diverse cultural roots. A nautical theme in the décor is understated and tasteful, with clean lines, pale colors, and original accents such as heavy brass straight from a Texas shipyard. The menu is also authentic and understated, and chef and owner Todd Schafer introduces modern versions of traditional Southern dishes without losing authenticity. All ingredients are fresh and seasonal, with, naturally, a heavy accent on freshly caught fish and seafood. The small but delectable selection of dishes changes daily and includes treats such as Goat Cheese gnocchi with butternut squash, Spanish chorizo sausage, balsamic roasted onions, and shitake mushrooms. 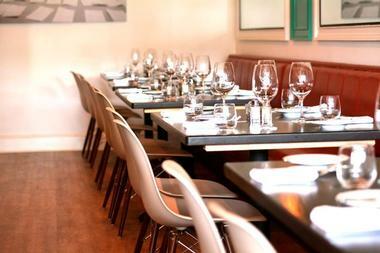 Abel Brown has an extensive wine list, so treat yourself to a good bottle with exceptionally well prepared food. 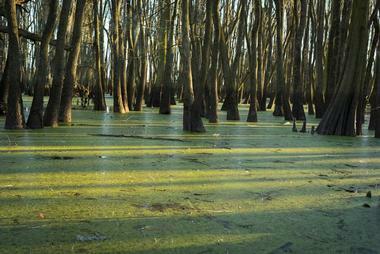 Located just outside the city center, Pendleton King Park is a 64-acre bird sanctuary. 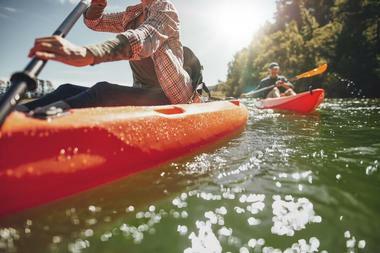 A firm local favorite, there are opportunities to participate in several recreational activities, allowing for the enjoyment of a wide range of visitors. Included are new children's adventure playgrounds, an 18-hole golf course, a tennis court, a workout course, nature trails for walking and cycling, and wide open spaces for picnics and games. The terrain is diverse, with pine forests, sand ridges, and marshes side by side and several nature trails winding their way through the park. Visitors therefore have the chance to catch sight of several bird and animal species. Grab a blanket and take your family along for a relaxing day out surrounded by nature.